So, Lent is now upon us. I typically pick a book to journey with me during these forty days, slowly reading and reflecting on a small portion each day. 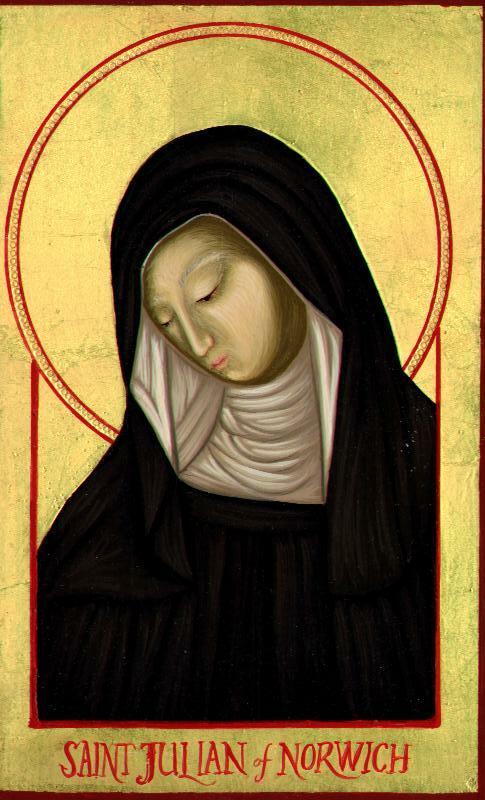 This year, I have decided to read The Showings of Julian of Norwich. How about you? What will you be focusing on during this holy season? I was recently gifted a book on the life of Mother Teresa. I am already reading it. A woman of great faith and pragmatism. I will also start A Holy Longing by Ron Rolheiser. This should accompany me for a fruitful Lent. Wish you all the graces of Lent. Mine is "33 Days to Merciful Love" which is a prayerful study of St. Therese's Offering to Merciful Love as a preparation for the Feast of Divine Mercy on the Octave Sunday of Easter. I'm probably going to look at the Interior Castle by St Teresa of Ávila. This Lent I'm going to be reading: The Hidden Treasure of the Holy Sacrifice of the Mass, by Blessed Leonard of Port Maurice. Very nice to see my suggested post here, Timothy! By the way, I took up Pope Emeritus' "Jesus of Nazareth" series for Lent. "Let the Fire Fall" by Fr. Michael Scanlan. I heard about this book while watching the Wild Goose is Loose video series about the Holy Spirit, which I have been enjoying immensely. Looking forward to reading this book during Lent. I just received it in the mail today too, on Ash Wednesday. The Passion and Death of Jesus by Henry Wansbrough, OSB. Finally getting around to reading the Catechism :) I've started and stopped a couple of times in the past, but it's a personal goal to read it in its entirety over the course of Lent. God willing, I pray, to absorb a lot of it. I'm positive it will affect how I view and live out the Faith. And, time permitting, read "Eucharist" by Bishop Barron. I hope everyone has a blessed and fruitful Lent! Though, clearly, I don't plan to finish before the end of Lent. I am reading 'Open mind, faithful heart' by Pope Francis. I started this book a little while ago but didn't finish it.